Melvin Nichols worked at Cessna Aircraft Co. for more than four decades, and in 1978 he invited his son to join him. Lynn Nichols turned down his father and eventually bought and then founded a couple of office-technology companies with a partner. The younger Nichols became a pilot, though, and after selling his companies at age 39, working a few more years then taking a sabbatical, he saw an opportunity at Yingling Aviation. He called the company, which he says was on “life support,” and asked if it might be for sale. 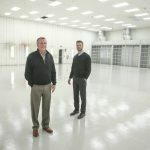 Eighteen years later, it’s the same company he’s now expanding with another 73,000 square feet for a total of about 200,000 square feet at the Wichita Dwight D. Eisenhower National Airport. He’s also adding another 25 employees to the 110 he has. The company had almost that many employees when Nichols bought it, but today the more-efficient business is four times larger in revenue “and far, far more than that in profit,” though Nichols won’t talk numbers. Yingling was Cessna’s first affiliate in 1946, and Nichols asked for the company’s blessing before he bought it. Instead, it took 20 months, and Nichols has expanded on the business every couple of years since. Back then, Yingling was known as a fixed-based operator that provided fuel and other aeronautical services at the airport. Today, that’s only 15 percent of the business. “What we’ve done is we’ve grown the maintenance, repair and overhaul services of aircraft,” Nichols says. He expanded avionics work, added interiors work and launched a propeller overhaul repair center. 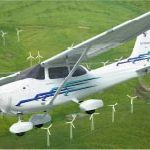 Yingling became a large-parts distributor for Textron Aviation, which today owns Cessna, while still providing fixed-based operation services. The company also expanded its product line of planes it’s capable of working on, from jets to small aircraft. “We’ve grown the company quite a bit,” Nichols says. He did that after a complete remodeling inside and out that also included establishing new processes, such as sending employees to customer-service training. They now go every two years for refreshers. “We just had to improve the workplace environment,” Nichols says. He now has a quality-assurance department, too. Nichols says he also had to listen to customers, and that’s why Yingling is expanding again. Nichols had plans to build a new paint hangar when some former Textron space by Yingling became available. Textron had a 5,000-square-foot paint hangar and a 15,000-square-foot prep hangar next to it. Another 15,000-square-foot hangar will be for maintenance aircraft service, and another one that’s about the same size will be for office space. 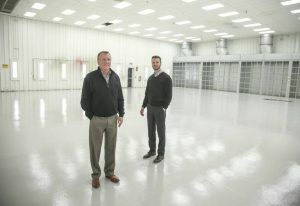 Yingling already has a new 23,000-square-foot hangar under construction to work on more aircraft. That’s not with the other hangars. It’s next to where Doc, a B-29 Superfortress that Yingling and others helped restore, is housed in a hangar that Yingling once planned to use. The next expansion likely will be for more paint capabilities. Nichols says he may have to find space where the old terminal will be demolished. There never seems to be much time between his expansions. However, there’s something else Nichols is also thinking of these days: retirement, if only fleetingly. That’s why Nichols says he knows he made the right decision to turn down his father. If things don't change, there may not be enough of them to keep planes flying!